Many new houses come with an unfinished basement. No one really plans on transforming their basement into a big pile of junk filled with boxes and old bicycles. The dream is to make a theater room, or a workout sanctuary, or something awesome. Before you start your master plan to make your basement the favorite room in the house, make sure you set aside some space for something important; food storage. It will likely take you a few weeks to get your emergency food supply together. 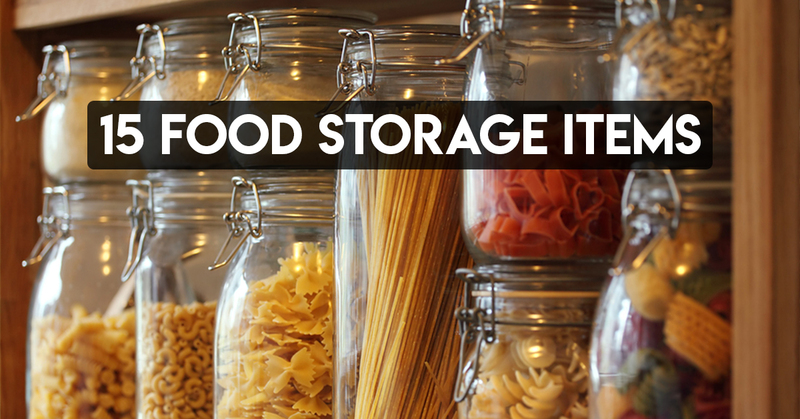 Here’s a list of 15 essential food storage items. Set a goal to purchase at least one item each week. Remember that food storage is meant to supplement your regular diet; not just sit there for 20 years.